A type specimen is a printed or digital publication which presents a typeface or type family and its features. A brief look at Peter Bilak’s ‘synthetic’ approach to type design which examines both his earlier Eureka and more recent Fedra families. Introducing Greta Sans, in a typographic animation produced by Addikt, Amsterdam. Typotheque produces its own exclusive type specimens and sends them out free of charge to people who request them. Once the specimens are out of print, we don't reprint them. Here are the last 30 copies of some older, out-of-print specimens, collectors’ items available for €4 each. 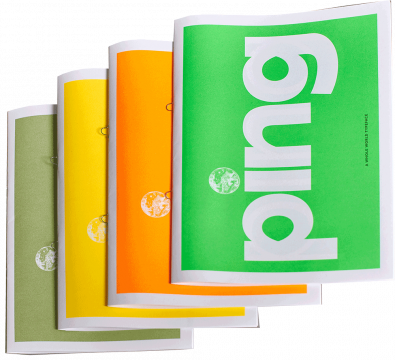 You can ask to receive copies of Typotheque specimens. To do so, you will need to create a user account. If you have received Typotheque specimens in the past, or you are already a Typotheque customer, you have an existing account with us. At any time, you can choose to stop receiving our email newsletter, or change your mailing preferences for printed type specimens. Simply log in to your account, and update your preferences.